Are you interested in a carer in human resources (HR)? HR departments contribute to a company's employee recruitment and selection, employee development, employee retention, organizational culture, and a positive, motivating work environment, which are critical to business success. Companies now seek HR's leadership and guidance. To enter the HR field, you must meet some minimum requirements. In smaller companies, one or a few staff members may wear many hats and perform HR generalist work with responsibility for all aspects of human resources. In larger companies, an HR Director or Vice President might head up multiple departments led by managers who specialize in areas such as training and development, compensation and benefits, or labor relations. Because of the variety of positions in the field, you have a great opportunity to find a work setting that suits your skills and strengths, your preference for company size, or your desire to specialize or generalize. To prepare yourself for a successful career in human resources, consider pursuing degrees and qualifications that fit the role. Certifications and previous experience are assets for most HR specialties and are essential for more advanced positions, including managers, arbitrators, and mediators. Having both a college degree and an earned certification can open the door to the best job opportunities. Many colleges and universities have educational programs that lead to degrees in human resources, HR specialties such as training and development, or business. Depending on the school you choose, you will find courses that lead to a career in HR management in departments such as business, education, instructional design or technology, organization development, human services, communication, and public administration. "Most prospective human resources specialists should take courses in compensation, recruitment, training and development, and performance appraisal, as well as courses in principles of management, organizational structure, and industrial psychology." Other relevant courses for students who have an interest in human resources might include business administration, public administration, psychology, sociology, political science, economics, and statistics. If you're considering a career in human resources, many professionals choose to pursue a Masters degree in human resources, organizational development, business administration (MBA), and other related subjects. Increasingly, you need a Masters degree if you expect to be competitive for the best, most desirable, high-paying HR jobs. Some HR professionals say that the Masters is the new Bachelor's degree in the field. Because of the challenge of employment law, more human resources professionals are obtaining law degrees or transferring into HR from the legal profession. "Many labor relations jobs require graduate study in industrial or labor relations. 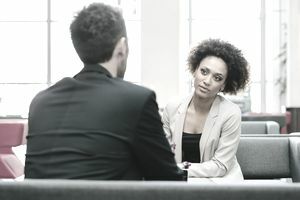 A strong background in industrial relations and law is highly desirable for contract negotiators, mediators, and arbitrators; in fact, many people in these specialties are lawyers. A background in law also is desirable for employee benefits managers and others who must interpret the growing number of laws and regulations. A master's degree in human resources, labor relations, or in business administration with a concentration in human resources management is highly recommended for those seeking general and top management positions." While education is important, your other qualification and skills can be equally as important as your coursework and degree. Some of the key skills and personal qualifications you will need to work successfully in human resources include the following. Knowledge of computers and information systems since HRIS has become central in documentation and employee self-service. It is difficult to break into a career in human resources above the entry level. Successive positions at the HR generalist and manager level, or above, require the knowledge and experience obtained in entry-level positions. Occasionally, experienced individuals who have held managerial-type positions in business, government, or the military might be considered for positions above entry level. If you fall into that camp, you might consider obtaining certifications or taking coursework related to your area of interest to further prepare yourself for a career in HR. If you're seeking an entry-level HR position, try to obtain some experience while you're in college as an intern. Even part-time work or an internship in other fields adds to your potential as a candidate. Leadership roles in clubs, volunteer experiences, club or college sports, and real-world projects for a company add to your credibility as a candidate. HR is a rewarding field with many benefits both emotionally and can provide stability and good income. Seek additional information from your college placement offices and counselors or talk with people working in HR where you want to live and work.